Our product range includes a wide range of oxygen & blood circulation machine and blood circulatory massager machine. 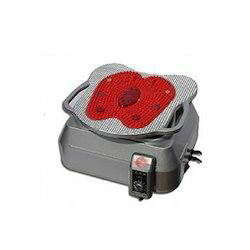 Infrared Home Walker With Reflexology Therapy Is A Foot Massager Which Delivers Precise Stimulation To Vital Points Of The Sole And As A Result The User Can Enjoy The Benefits Of Reflexology. 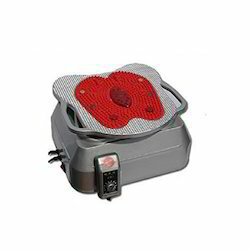 Features : 10 Speed Swinging 2 Speed Vibration Soft Cushion Foot Rest Infrared Disinfector Multi Function Controller Magnetotherapy Back Pad Disk Firmer Hips Thighs And Toned Muscles Improved Posture Increased Energy Improved Circulation Weight Loss Aligns The Spine Better Sleep Removes Muscle And Back Pain Removes Lactic Acid Build Up Helps Drain The Lymphatic System Eliminates Toxins Strengthens The Immune System Increases Blood Oxygenation Improves Metabolism Total Stress Relief Loosens Stiff Muscles. Looking for BCM Machine Importer in India ?